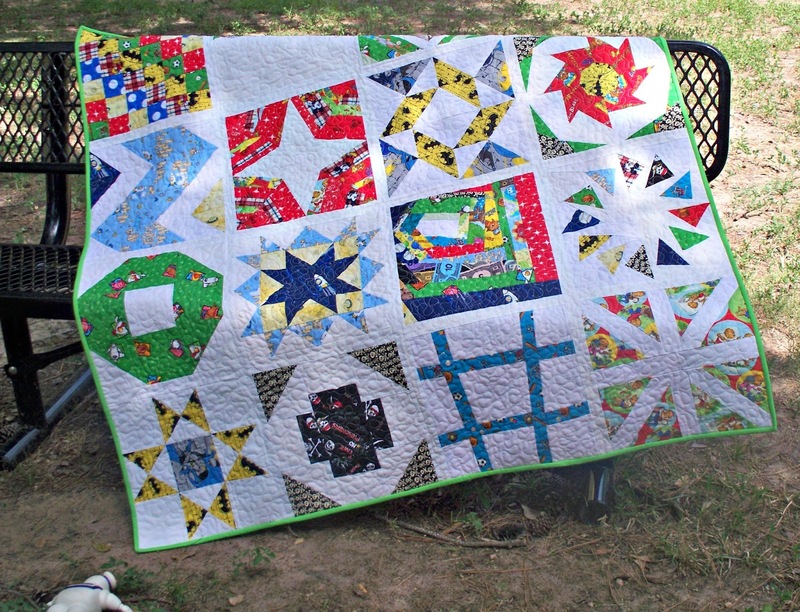 SUCH a cool quilt! Good on you for entering!!! What a fabulous quilt! I love the batman details! And I think that backing is awesome!